Welcome to ADR (Advanced Dinghy Research). This site is currently under construction, please be patient if some things don't work. At ADR we design and manufacture high quality, innovative new products relating to inflatable dinghies and inflatable water sports products. We sell our products directly from this website so that we can keep our prices very competitive. 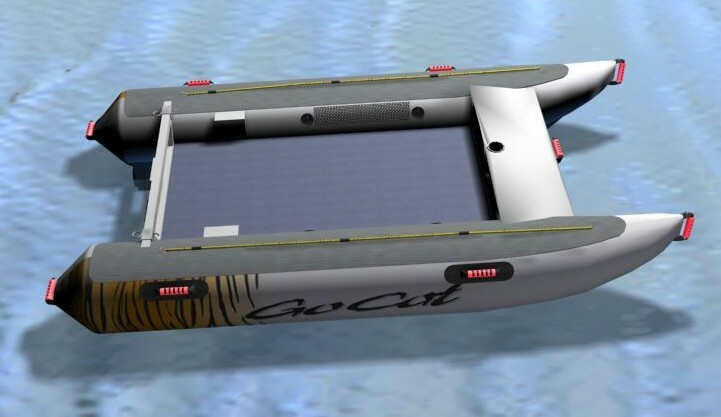 New release:GoCat 3.2 Inflatable sports dinghy. See our Products page for more details. Soon to be released: Bladder Kits for repairing old inflatable dinghies that don't hold air anymore. Bladders come in various sizes to fit most brand name inflatables. Or we can custom make bladders to any size. See our Products page for more details. and GoCat RX 3.2 RIB. See our Products page for more details. At ADR we produce only the highest quality inflatable products, in order to do this we use only the best materials available made especially for our purposes. These materials are then assembled using the latest techniques ensuring a strong and versatile product.